I have moved house very regularly since I was packed off to high school. So if I stay in any one place for more than a year or two an itch forms. At first the itch tells me to go for a walk, but soon it has me packing boxes and carrying furniture. 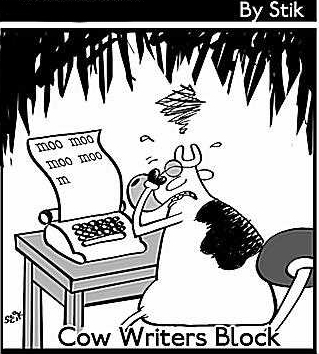 There is no worse disease for a writer than writer's block. I'd also say that writer's block is terrible for readers too, uninspired prose is what we expect from policy and political people, not our entertainment. I'm a fan of Stephen King's writing advice: set a daily word goal and stay at it until you reach the goal. There is something about daily writing and forcing yourself to write that seems to make things flow. But Tyson, I hear you say, I'm stuck with no ideas for what to write next. Luckily I was procrastinating whilst writing the other day and came up with a definitive fail safe for each major genre. Any additions are welcome in the comments. When writer's block strikes kill someone or blow something up. When writer's block strikes describe the main character getting drunk and wallowing in self pity. When writer's block strikes introduce a red herring. When writer's block strikes introduce new character with rock hard abs. When writer's block strikes describe a tree in intimate detail. When writer's block strikes have a talking dragon appear. When writer's block strikes cut and paste physics article from Wikipedia into your novel. When writer's block strikes cut and paste autopsy reports into your novel. If you already have vampires, ghosts and werewolves in your novel, introduce ninjas and pirates as characters. If you are really stuck after all of these ideas, then there is no novel in existence that can't/couldn't be improved by the addition of pirates and/or ninjas. I thought I would post a little list that gave me a giggle. I've only added one to the list, see if you can spot it and my sense of humour. A: You've already screwed in too many light bulbs. Repetition! Q: How many reviewers does it take to screw in a light bulb? A: None. They just stand back and critique while you do it. Q: How many netgilantes does it take to screw in a lightbulb? A: Did he use an English word? Must be a writer! Let's lynch him!!!! A: Only one, but first they have to tell you why they didn't like how you did it. Q: How many Kindleboards authors does it take to screw in a light bulb? A: One, followed by a 12-page, passionately-argued thread about how much the light bulb should cost. Q: How many forum users does it take to screw in a light bulb? A: One, but in the following ten-page discussion, someone will invoke a comparison to Nazis. Q: How many authors does it take to change a light bulb? A: Only one but you also need an editor, proof reader, cover artist, and an agent to be there at the same time. There are some books that you read and feel enlightened about the world around you. There are some books that are fascinating and insightful, making you think. Then there are some that are just unashamedly fun. McGrave is a straight up actioneer, pure fun, and revels in what some would call cheesy cliches. Instead these cliches are actually part of the humour Less has used to make this story fun. This story was originally written as a pilot for TV and reminds me greatly of the 80s cop shows. In fact, if you ever saw the hilarious Sledge Hammer, then you could imagine a similar take on action and cop adventure played straight. 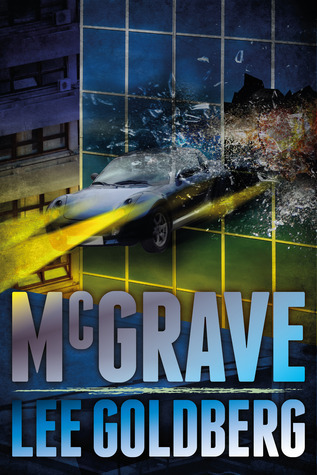 This McGrave adventure is certainly an escapist pleasure and it had me laughing and entertained throughout. Treat yourself, unless your idea of a treat is Tolstoy. It is a busy day today. I have been booking my itinerary for the Perth Writers' Festival for 2012. I really enjoyed myself at the festival last year and am looking forward to this year's event. For anyone who wants to go or just wants to see what is happening, check out the links for the program. Jo Nesbo will be there, so crime writing is well represented. E-readers are filled with garbage? 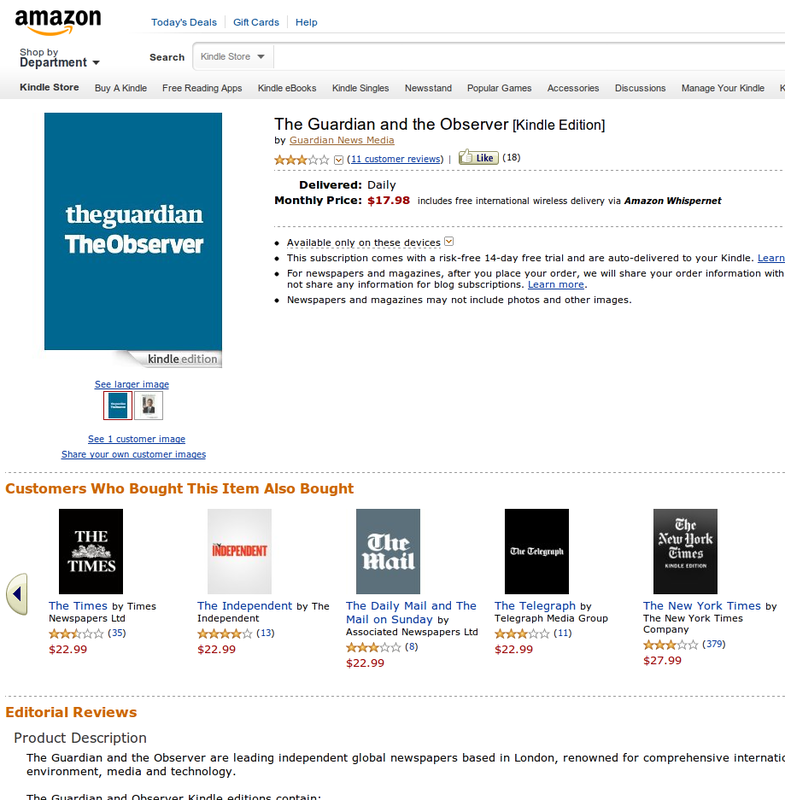 An article in The Guardian on Sunday suggested that garbage, which they defined as genre fiction, was the big seller on Kindles and e-readers. See article here. Okay, irony aside, The Guardian has published a number of articles extolling the inferiority of e-readers and e-books. For example, they deride romance and erotica as genres, yet they have always sold well. They deride horror, yet Steven King has been a bestselling author for 40 years. Excuse my cherry picking, but I can't be bothered digging out my stats sheets to bury this argument further. For years the literary fiction and biography markets have been kept afloat by the gift and commuter sales. Commuters can't be seen to be reading anything other than high art or an intriguing insight into some mundane public figure, whose only claim to fame was being able to stand in front of a camera at the right moments. Similarly the books people received as gifts were always some intellectual boorish bunk posing as entertainment. Now commuters don't have to have the cover of their book on display and are free to read what they actually enjoy reading. Gift givers are wising up and going to wishlists and giving download vouchers. This isn't just the end of snobbery, it is the start of truly great works of fiction. People would assume that because I'm a writer I would have heard of Joe Konrath as a result of his excellent blog about writing and self-publishing. Well, I'd like to say that I found out about the world of self-publishing and writing via Joe after I'd become a fan of his books. I liked his mix of humour and darkly themed tales. I especially liked his novel Shaken, which had me buying anything else I could find of his. Actually, come to think of it, Shaken may have been the first e-book that my wife and I bought. 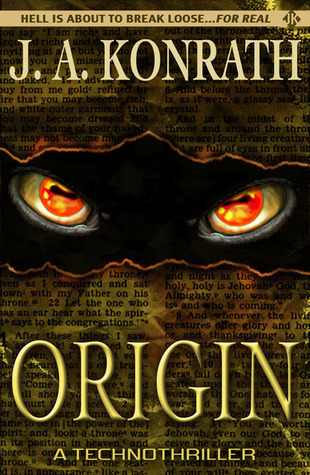 Origin is less Jack Daniels and more horror, that is to say, it has less humour and is more about the thrills. Origin definitely keeps the pace up and is an enjoyable read. At about 60% finished (e-book remember) I had trouble putting this book down to do even important tasks, like take the dog out and make tea. I've given 4 stars, but it is somewhere between a 3.5 and 4 star book. The mix of genres works most of the time, but at other times it feels like someone should be eaten by a monster, not making doe eyes. Definitely a book for horror fans, or anyone who likes thrills and can handle a little horror. Over the past week there has been a lot of noise surrounding the changes to Facebook. The big one is the change-over to timeline and, thus, the highlighting of old posts. 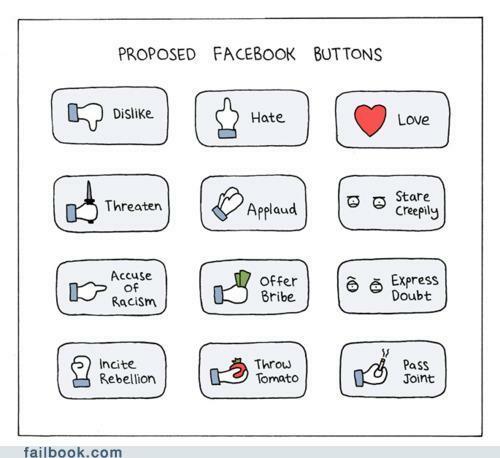 I thought that while some of my friends are leaping off Facebook I'd like Zuckerburg and Co. to do something to entice them back. Clearly this is a bookstore or library catering to a couple of Dutch customers. 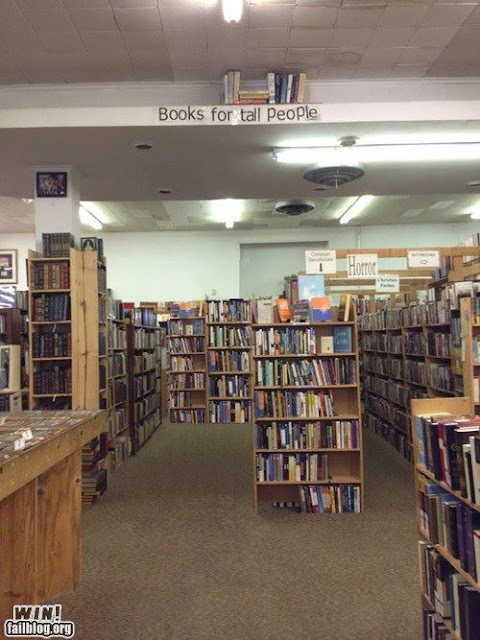 All the Dutch people I know are scientists, so they need a reference section there as well. I'm a country boy. That means I know how to drive most machinery, shoot a gun and kill my own food. It also means that one leg is longer than the other to walk around the hills. Please spend five minutes seeing how awesome farmers are. I'm an aspiring author and this blog is about my stories, random thoughts in my head, and having a laugh with friends.